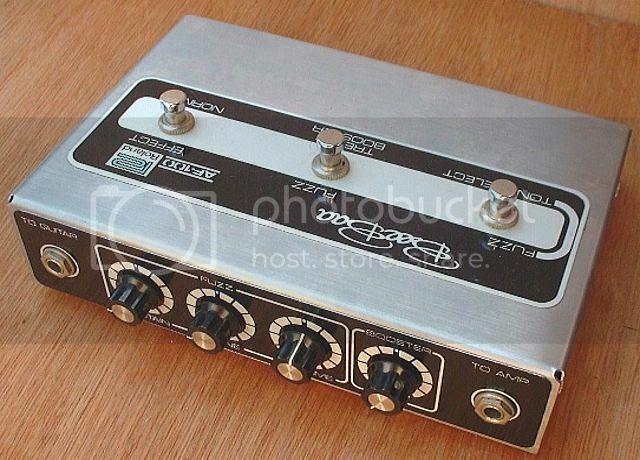 Roland Bee Baa and Foxx Tone Machine in one enclosure - Vintage fuzzy goodness. I'm a big fan of using space efficiently but this box is packed tight! And the originals - now those are man sized enclosures. 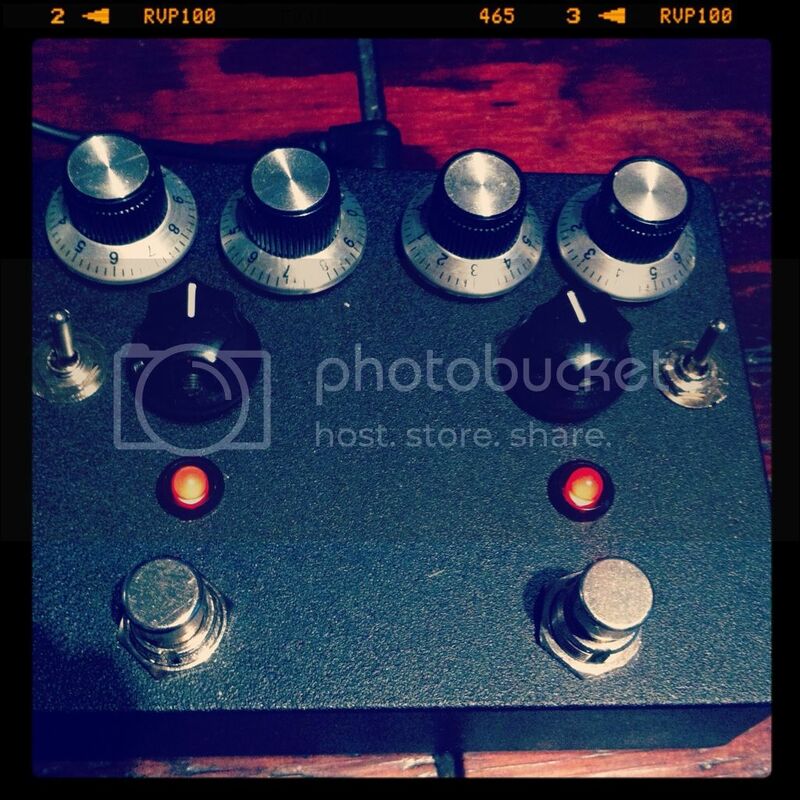 Also, if anyone knows where I can get a little metal plate engraved/cut for use on the front of the pedal, it'd be great! 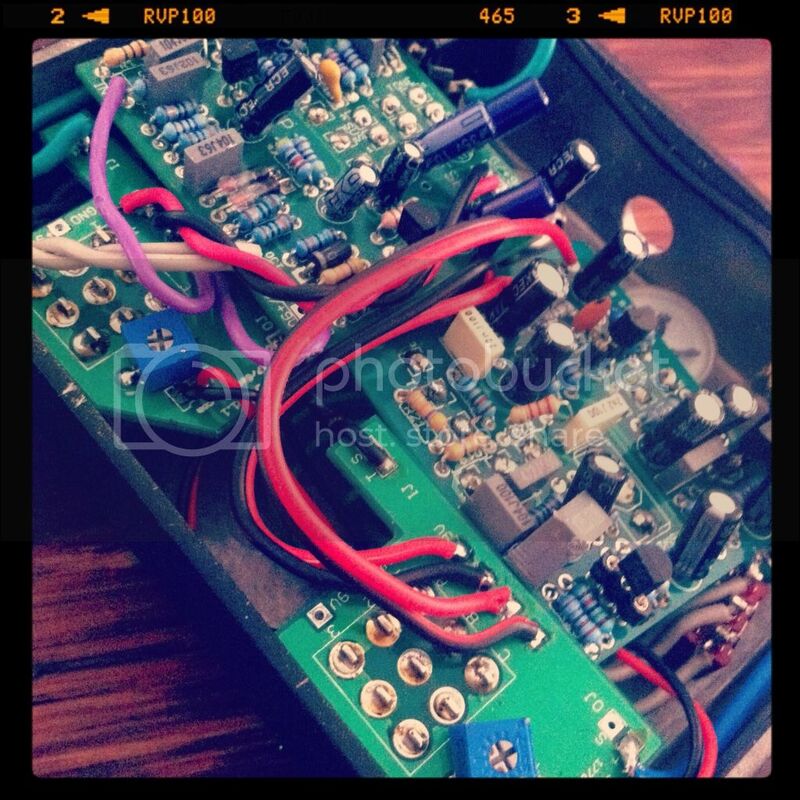 Very cool build. 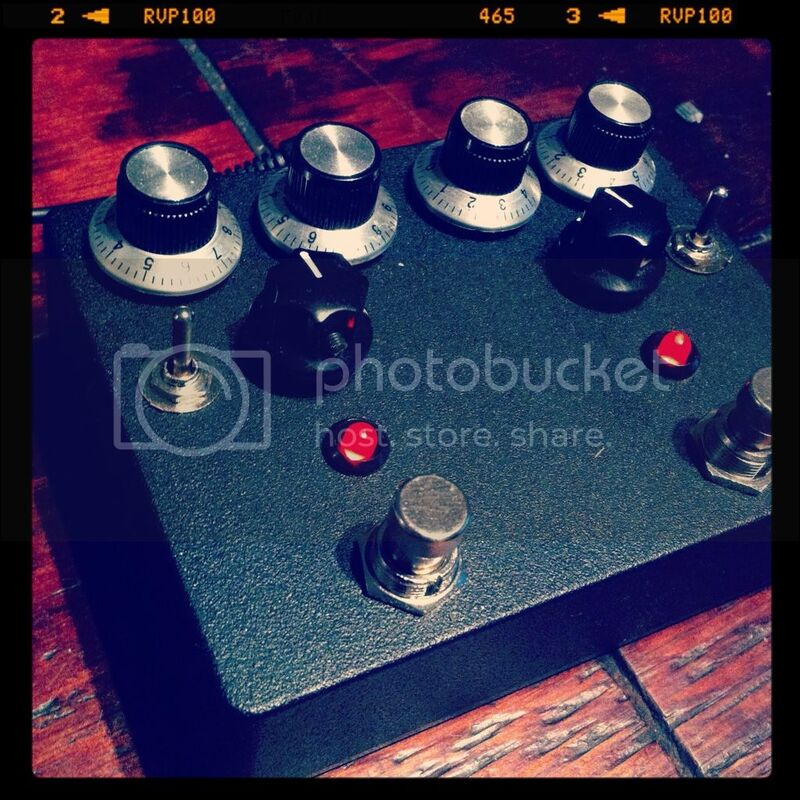 I've always wanted both of those pedals, so seeing them put in one box is awesome. 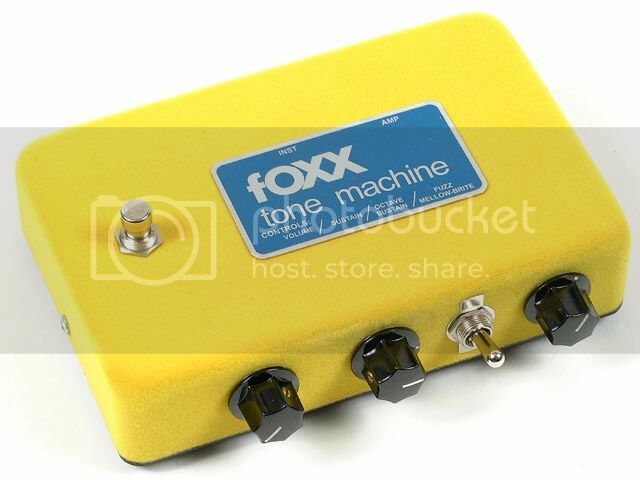 Would be cool if you could add some fur to the enclosure like the original Foxx Tone Machine. Dig it. Wouldn't mind something like this.